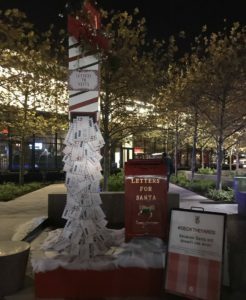 If you are staining in the DMV for the holidays, there are plenty of things to fill your time – even Christmas Day – besides going to a movie. And, if you don’t want to cook, check out our list of area restaurants that will be serving Christmas Eve and Christmas Day meals. 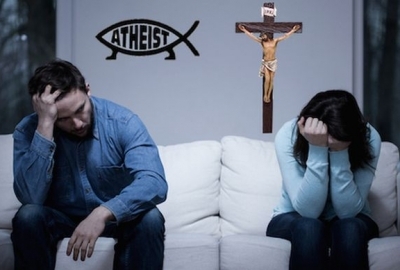 There are even some events on Chrismtas Day after you have unwrapped the presents and stuffed yourself with turkey. 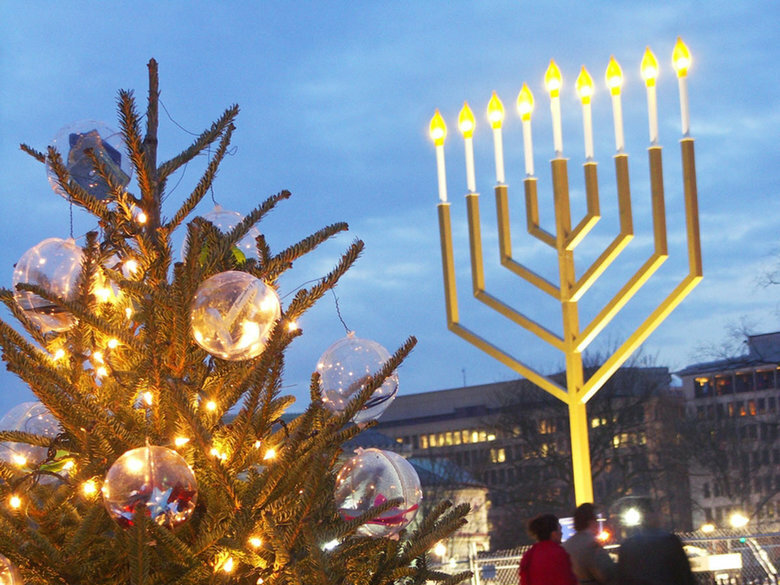 And with Hanukah starting on Sunday, the National Menorah will be lit at a ceremony starting at 4 p.m. on the Ellipse beside the National Christmas Tree. Admission is free, but tickets are needed so scroll down and reserve yours if you want to attend. 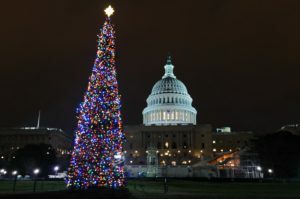 Metro is giving us an early Christmas present with no work on the rails this weekend except on the Red Line from 8 p.m.-closing Saturday with single-tracking between Van Ness-UDC and Dupont Circle. All trains will run on regular weekend schedules. 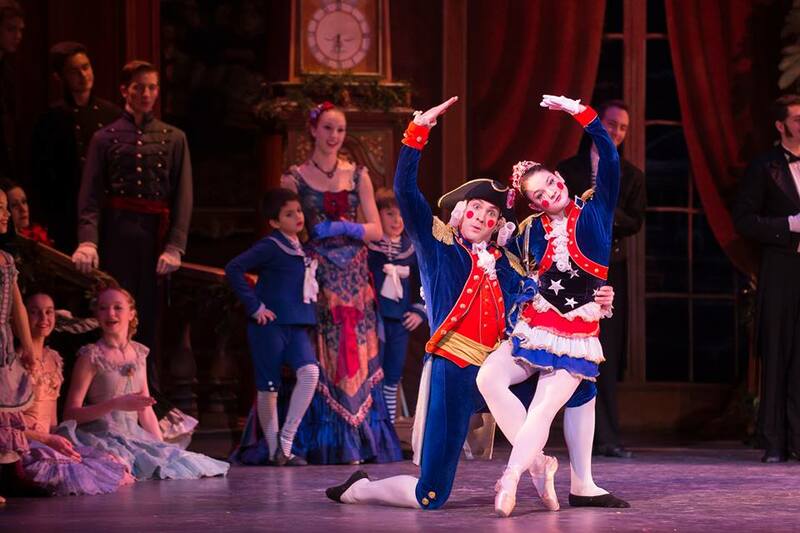 The Moscow Ballet brings its unforgettable performance of the classic Russian tale the Great Russian Nutcracker to the DMV. The show features larger-than-life props, a 60-foot Christmas tree and authentic Russian costumes and sets. 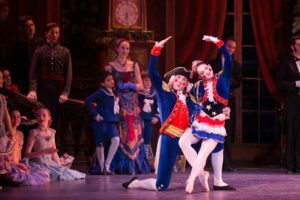 And of course, the Moscow Ballet is one of the most acclaimed in the world, meaning you’ll be able to witness master of the craft in the DMV. Dec. 23 at 8 pm. at the Music Center at Strathmore, 5301 Tuckerman Lane, North Bethesda, Md. 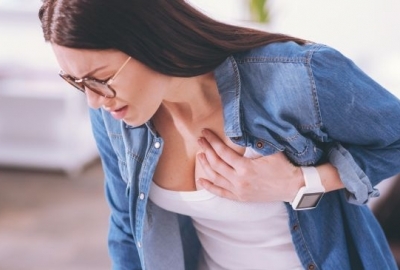 Tickets are $68-$88. Daily through-Jan. 8 from 7 a.m.-6 p.m. at the Basilica Shrine of the Immaculate Conception, 400 Michigan Ave. NE. Admission is FREE! 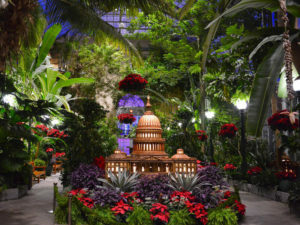 The annual Seasons Greenings holiday show at the United States Botanic Garden includes a collection of area landmarks made entirely from plant materials, including the U.S. Capitol Building, the Washington Monument and more. New for 2016: Inspired by the 100th anniversary of the National Park Service, a model train will tour a landscape of iconic American places (Old Faithful, the Grand Canyon, the Gateway Arch, the Statue of Liberty, etc.) also crafted from plants. Seasons Greenings will also showcase a large indoor tree sporting ornaments from national parks. There are thousands of blooms on display from exotic orchids to a showcase of heirloom and newly developed poinsettia varieties. 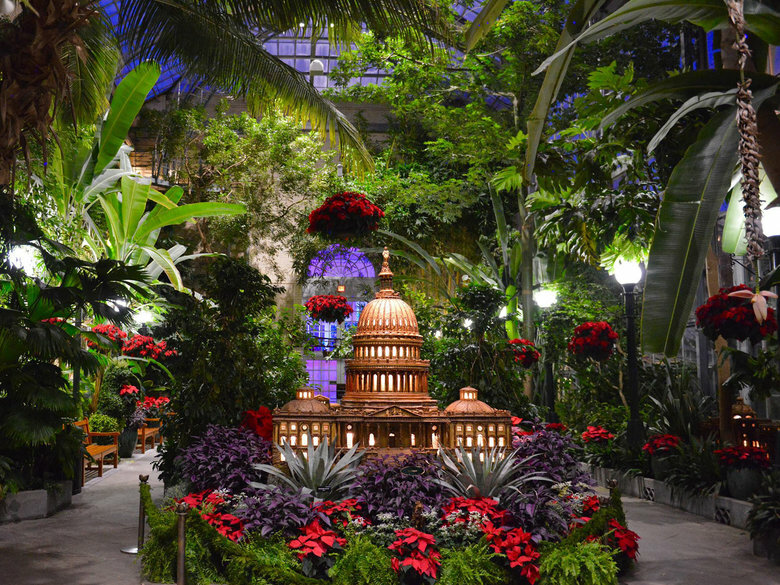 On select Tuesday and Thursday evenings in December, the Conservatory will stay open until 8 p.m. to hose live seasonal music. Through Jan. 1 from 10 a.m.-9 p.m. Saturdays, 10 a.m.-7 p.m. Sundays, 1-9 p.m. Monday through Thursday and 10 a.m.-9 p.m. Fridays at Gaylord National Resort and Convention Center, 201 Water St., Oxen Hill, Md. Tickets are $29-$36 for adults, $21-$29 for children 4-11 years old, $25-$t32 for members of the military, $17-$27 for military children and free for children 3 and younger. Ice! is closed Dec. 5-7. 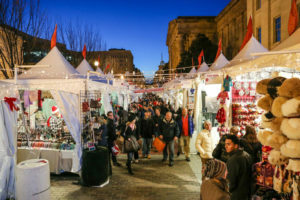 Friday is the last day to do your Christmas shopping at the Downtown Holiday Market this year. Centrally located at Eighth and F Streets NW, in front of the Smithsonian American Art Museum and National Portrait Gallery, you can pick up some last-minute eclectic gifts from dozens of pop-up tents with seasonal music performed live in the background. 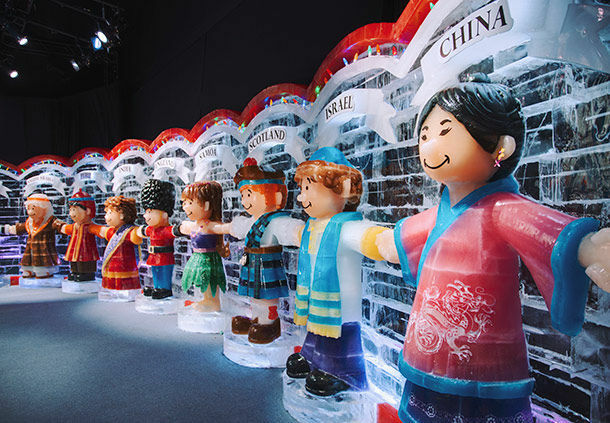 The holiday bazaar features more than 150 exhibitors throughout its run. You will find everything from funky t-shirts and area photography to handmade jewelry and soaps. 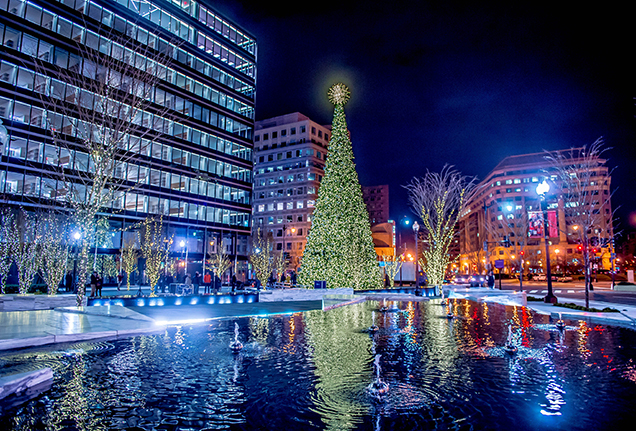 At night, its bright lights bring Penn Quarter to life, providing a holiday spark to the neighborhood. Locally roasted coffee and crafted-before-your eyes mini-doughnuts inspire a cold-weather appetite, creating a holiday atmosphere you won’t find anywhere else in the DMV. Dec. 23 from noon-8 p.m. at Eighth and F Streets NW outside the National Portrait Gallery and the Smithsonian American Art Museum. Admission is FREE! 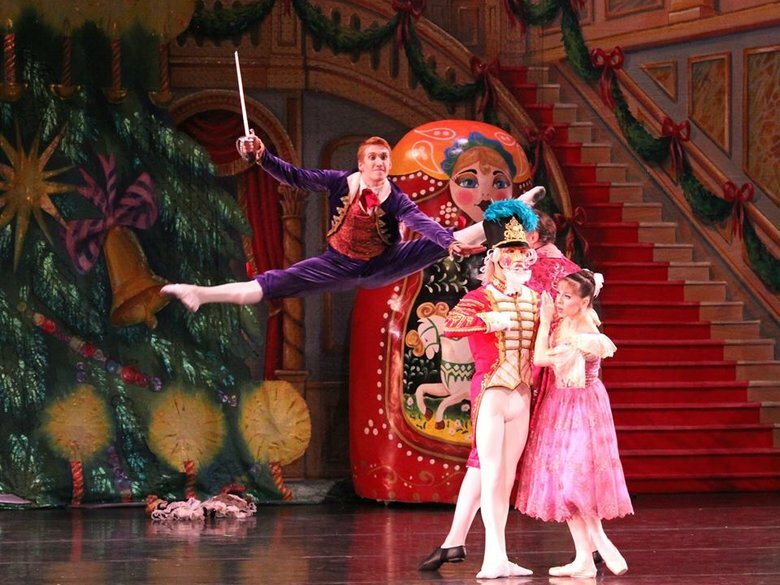 Dec. 23 at 2 and 7 p.m. and Dec. 24 at 11 a.m. and 3:30 p.m. at the Warner Theatre, 513 13th St. NW. Tickets are $25-$140. 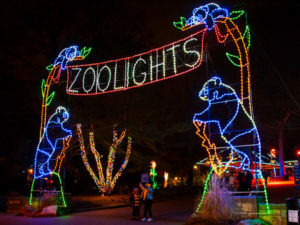 Daily through Jan. 2 except Christmas Day from 2-9 p.m. at Six Flags America, 13710 Central Avenue, Upper Marlboro, Md. Tickets are $32.99-$55.99 online or $65.99 for adults and $45.99 for children under 48 inches tall at the gate. 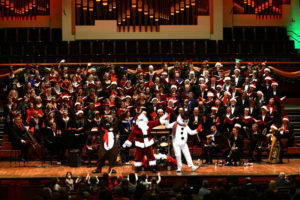 The annual tradition, the http://www.kennedy-center.org/calendar/event/MRHFM Messiah Sing-Along, is back at the Kennedy Center. The Concert Hall event features conductor Nancia D’Alimonte leading the orchestra, soloists, a large chorus — and you! 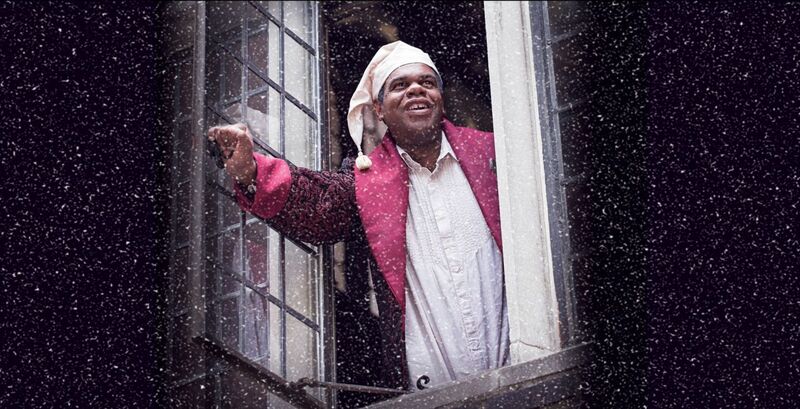 — through Handel’s holiday masterpiece. This is a reserved seating event, but free tickets (maximum two per person) will be distributed beginning at 4:30 p.m. on Friday in the Hall of Nationals. 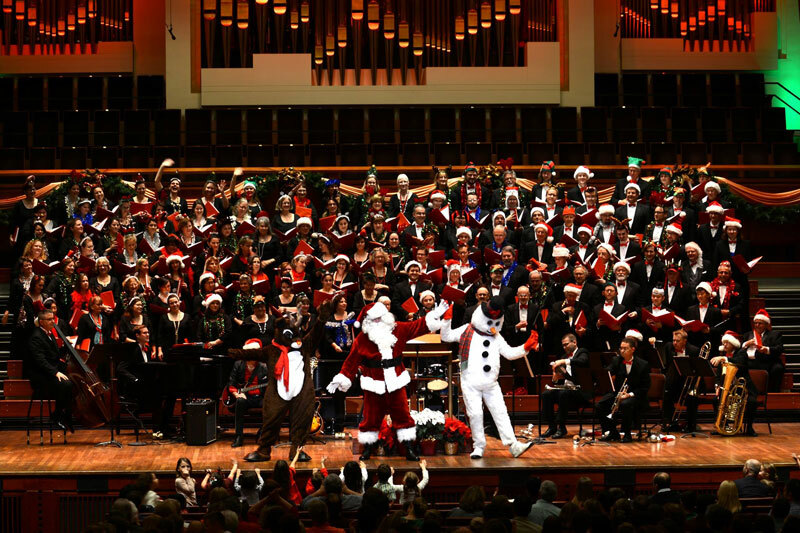 Dec. 23 at 6 p.m. at the John F. Kennedy Center for the Performing Arts Concert Hall, 2700 F St. NW. Admission is FREE! CityCenterDC, the upscale mixed-use development downtown with toney retailers like Burberry, Gucci, Hermes, Louis Vuitton and Ferragamo, and pricey restaurants like DBG Kitchen and Bar and Del Frisco’s Double Eagle Steak House, is a winter wonderland with snowflakes and white lights hanging above the Palmer Alley pedestrian walkway. 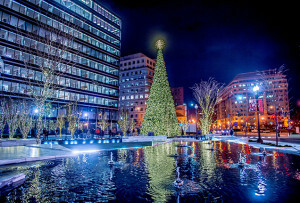 A dazzling 75-foot Christmas tree and two resident 25-foot reindeer on the Park at CityCenter facing New York Avenue. 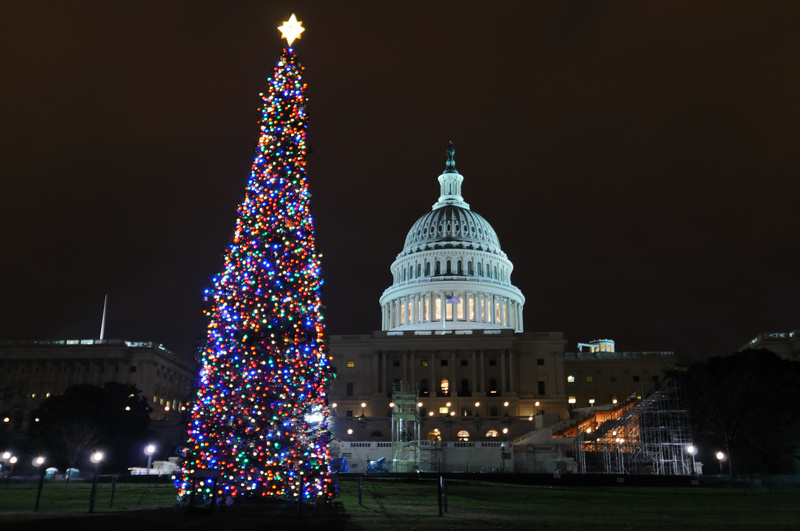 Pay a visit to the National Christmas Tree, one of the city’s time-honored traditions. 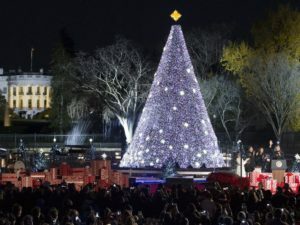 Visiting the live tree, which is draped in red, white and blue lights and sprinkled with stars and sugar plum ornaments, is free throughout the season, and musical performances are held there nightly. The Pathway of Peace surrounding the tree features 57 state and territory trees decorated with handmade ornaments that are unique to each tree. 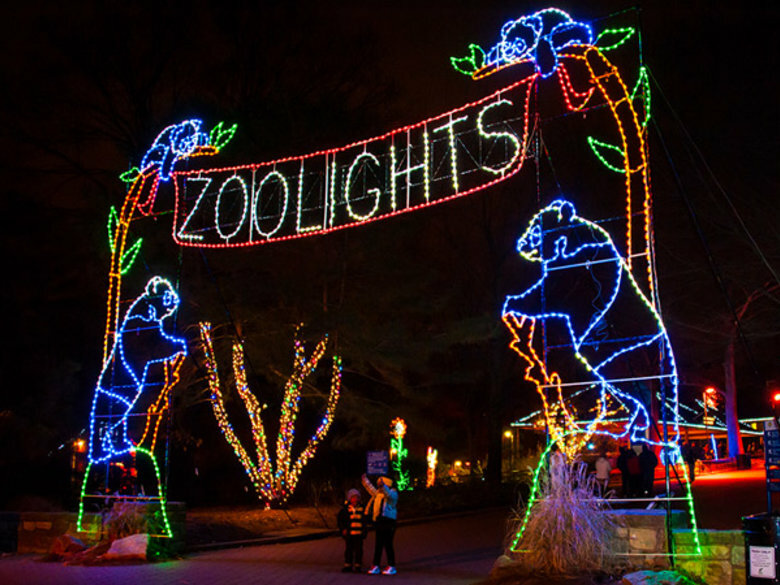 Through Jan. 1 from 10 a.m.-10 p.m. (lights illuminated at dusk) at the Washington D.C. Temple, 9900 Stoneybrook Drive, Kensington, Md. 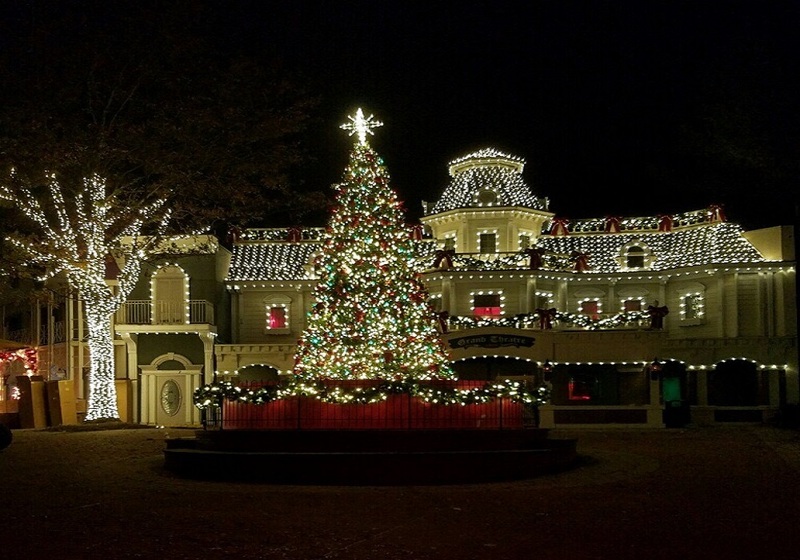 ; through Jan. 1, 10 a.m.-10 p.m. Admission is FREE, but tickets are required for concerts. 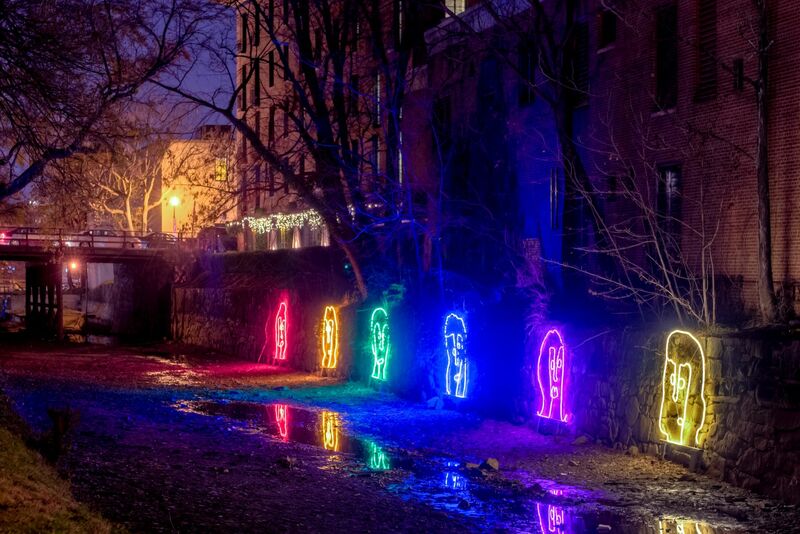 This stroll through D.C.’s most historic neighborhood will make you light up as you pass by unique, outdoor public light art installations. 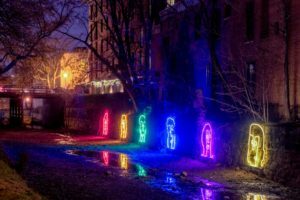 Georgetown Glow has proven to be such a hit that it is now a month-long celebration. A group of artists, from locally renowned to internationally celebrated, display works in outdoor spaces throughout Georgetown. This year’s display, which features eight exhibits, up from five last year, encourages contemplation of, and interaction with, the natural environment. Each work has an element of interactivity allowing the viewer to walk in, on and around the piece, while others ask the viewer to become part of the artwork. Afterwards, wander through a winter wonderland at The Washington Harbour, one of our favorite places to ice skate in the District. 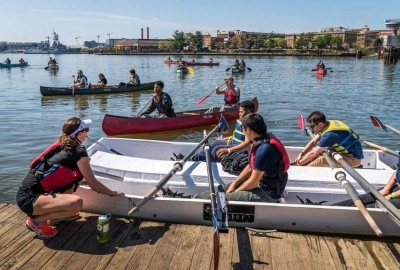 Through Jan. 1 from 6-10 p.m. nightly along the waterfront, around the C&O Canal and up Wisconsin Avenue in Georgetown. Admission is FREE! Tuesdays through Fridays at 7:30 p.m. and Saturday and Sunday at 2 and 7:30 p.m. with additional Monday and weekday matinees through Dec. 31 (no shows Dec. 24 or 25) at Ford’s Theatre, 511 10th Street NW. Tickets are $22-$105. Since 1986, a man dressed as Santa Claus has strapped on skis and hitched a ride on the Potomac River on Christmas Eve, waving to cheering onlookers along the Alexandria waterfront. 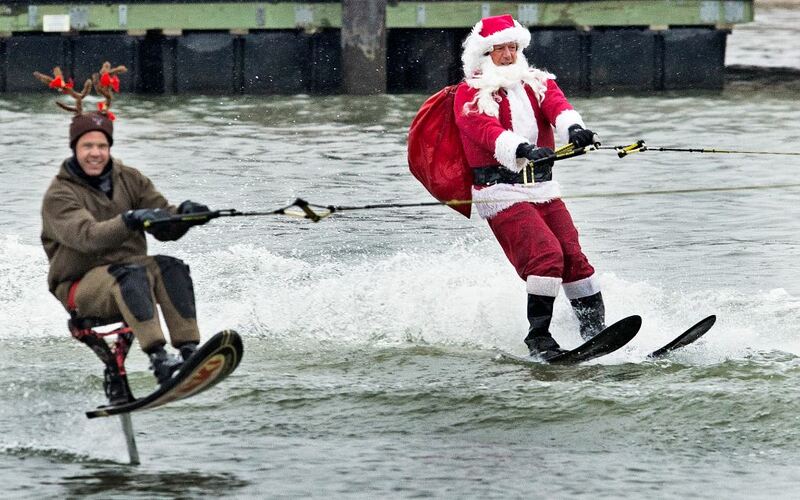 In the three decades since, the Water Skiing Santa spectacle has grown to include wakeboarding reindeer, flying, acrobatic elves on boards and water scooters, Frosty the Snowman, Jack Frost, Christmas tunes and Dr. Seuss’s mean Mr. Grinch, whipping his watercraft like his cartoon dog. The characters all come on shore in Old Town Alexandria for photographs and merriment afterward. Dec. 24 at 1 p.m. between Founders and Waterfront parks, King and Oronoco Streets, Alexandria. Admission is free. 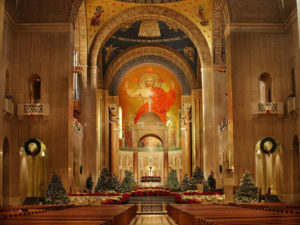 The Choral Arts Society of Washington comes to the Kennedy Center’s Concert Hall for an A Choral Arts Chirstmas, an afternoon of classic Christmas carols. Fill your Christmas Eve with beautiful chorale music, as well as gospel arrangements of Go Tell It on the Mountain. The song list also includes Angels We Have Heard on High, Joy to the World and Welcome All Wonders. Dec. 24 at 1 p.m. at the John F. Kennedy Center for the Performing Arts, 2700 F St NW. Tickets are $15-$77. Hanukah kicks off with this lighting ceremony of the National Menorah — the world’s largest menorah — on the White House Ellipse, which greets all with latkes and doughnuts and menorah kits and dreidels. Music from the National Menorah Orchestra and The Three Cantors will add a soundtrack to the scene. 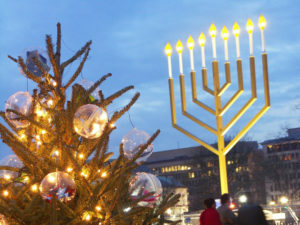 As is the custom, a new candle is illuminated on each of the eight days of Hanukah. 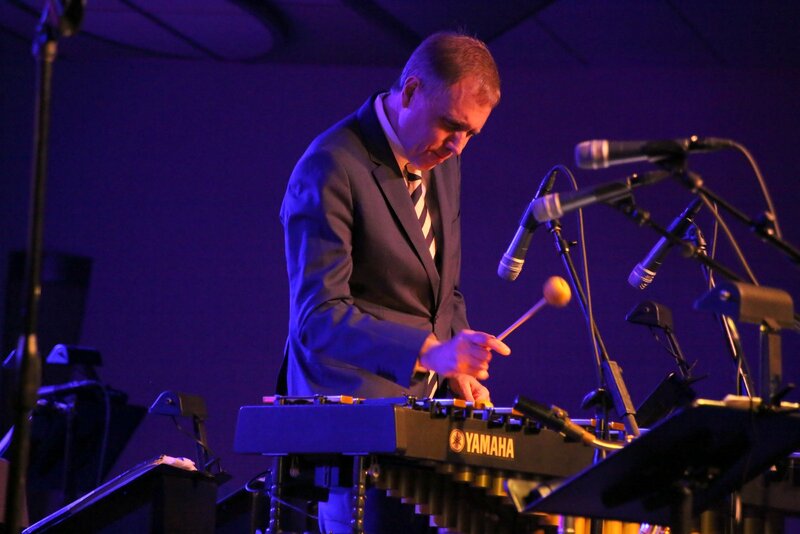 If the presents are unwrapped and the dishes washed, head over to the Kennedy Center for its 18th annual All-Star Christmas Day Jazz Jam. A group of Washington musicians will help you wind down with swinging holiday hits. 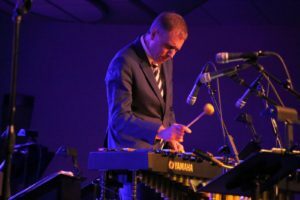 The show features host and vibraphonist Chuck Redd, pianist Robert Redd, bassist James King, drummer Lenny Robinson, trumpeter Tom Williams and singer Delores Williams. 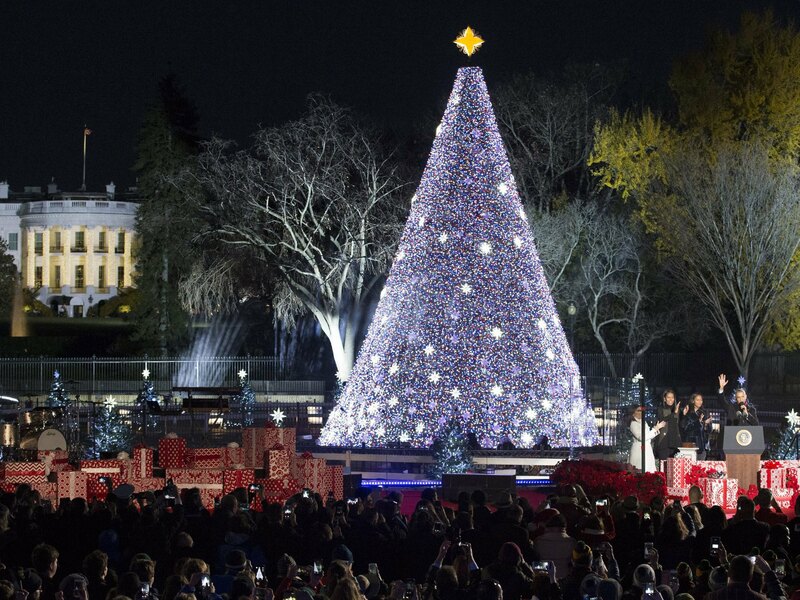 Dec. 25 at 6 p.m. at the John F. Kennedy Center for the Performing Arts, 2700 F St. NW. Admission is FREE!